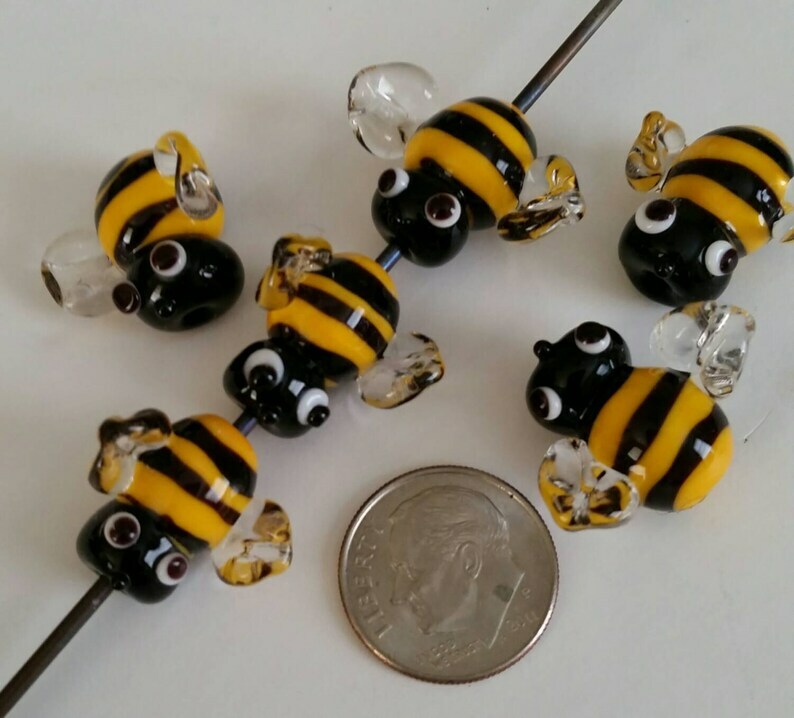 Each Bee Bee'd is created one at a time so no two will be exactly alike. Measures 16-20mm hole to hole and 18/22mm wingspan. I usually ship between 2-3 business days after payment has been received, by USPS. Message me if you wish to insure your package and I will adjust your Invoice accordingly.... PLEASE PAY AFTER YOU RECEIVE THE ADJUSTED INVOICE! Such a cute little bee! Nice attention to detail. Shipped quickly and nicely wrapped - love it!! Thank you! This plant stake from this talented artist was absolutely adorable with lovely detail. It is adding so much charm to our floral arrangements. The Bumble Bee stake arrived quickly, was beautifully wrapped, and was shipped with utmost care. The seller's communication was exceptional, too, and she was a joy to work with. I love this!